Welsh National Opera (WNO) are to perform at the Royal Opera House during summer residencies, starting in 2014. The Cardiff-based company are to perform Schoenberg's Moses und Aron in 2014; Richard Ayres's Peter Pan, composed by Richard Ayres with a libretto by Lavina Greenlaw in 2015; and a new main stage commission in 2016 to mark WNO's 70th anniversary. Makes total sense. Cardiff prices? Wonderful news. A great shame they couldn't have started with their current Lulu; a vastly superior staging to Christof Loy's bland, blank and barren staging for ROH of a couple of year's back. WNO's ability to put on stimulating, and frequently world class, stagings of interesting repertoire (despite financial restrictions) - AND tour them - puts some of our other opera companies to shame. I, for one, will be thrilled to see their Moses and Aaron at Covent Garden. 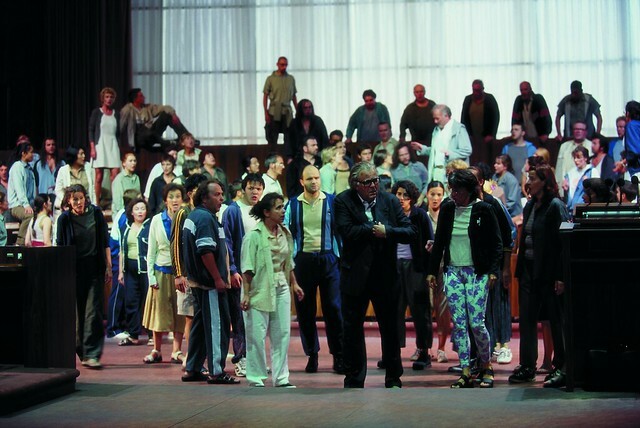 Meistersinger from 2010. Must rank as one of the great productions of all time. I am willing to put up a few pounds.